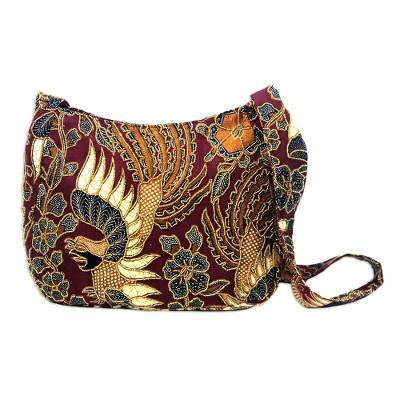 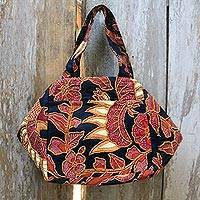 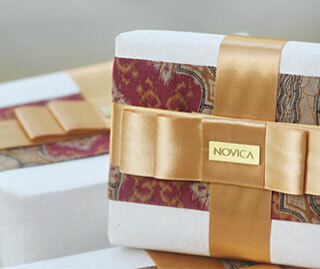 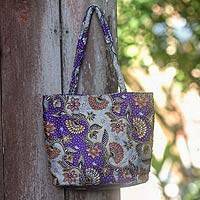 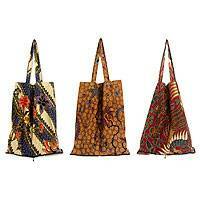 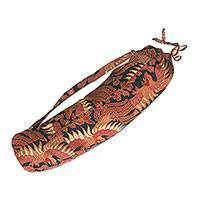 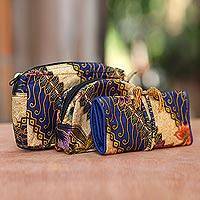 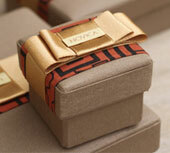 The colorful design of this bag depicts avian glory in cotton batik. 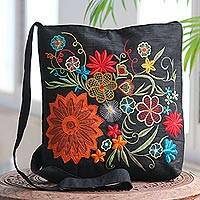 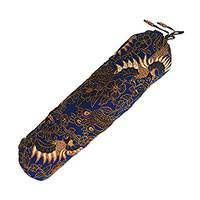 Presented by Wahyu Sulistiani from Indonesia, the lavish beadwork is applied by hand, and the inside sports a hidden inner pocket. The beautiful motif represents the king's favorite rooster, a symbol of beauty and power, made even more beautiful by a rich palette of hues.